Lo and behold, the mystery gaming smartphone that we saw at MWC 2018 is officially here. 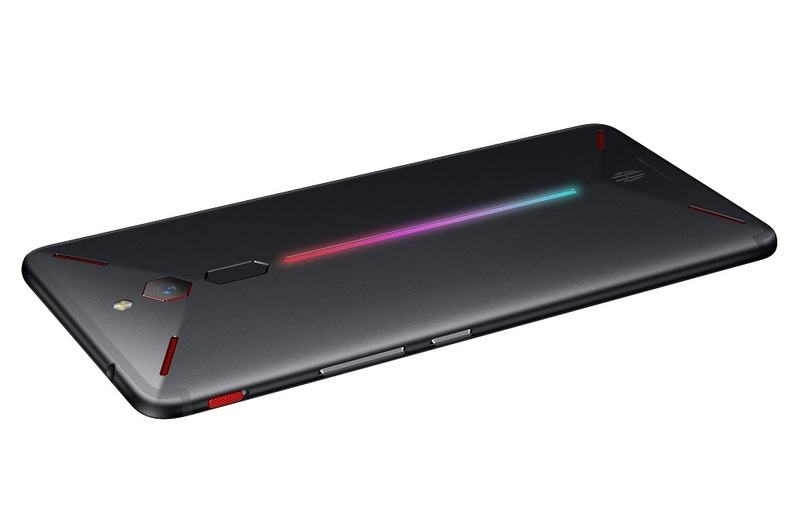 The gaming arm of Nubia has unveiled the Red Magic Phone, a gaming-skewed smartphone complete with the “industry-first” RGB strip. 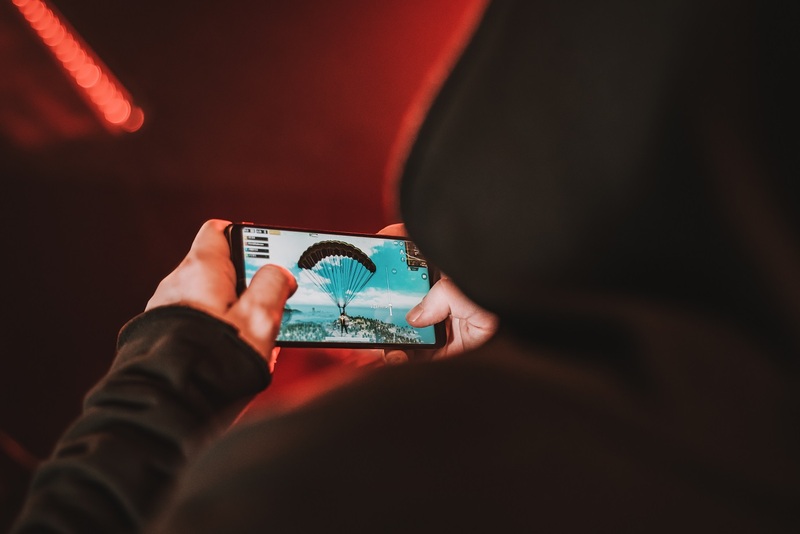 Back at MWC 2018, Nubia showcased the mystery gaming smartphone without any additional information for the press. There, we saw three different prototypes, with one that had a working RGB strip at the back. 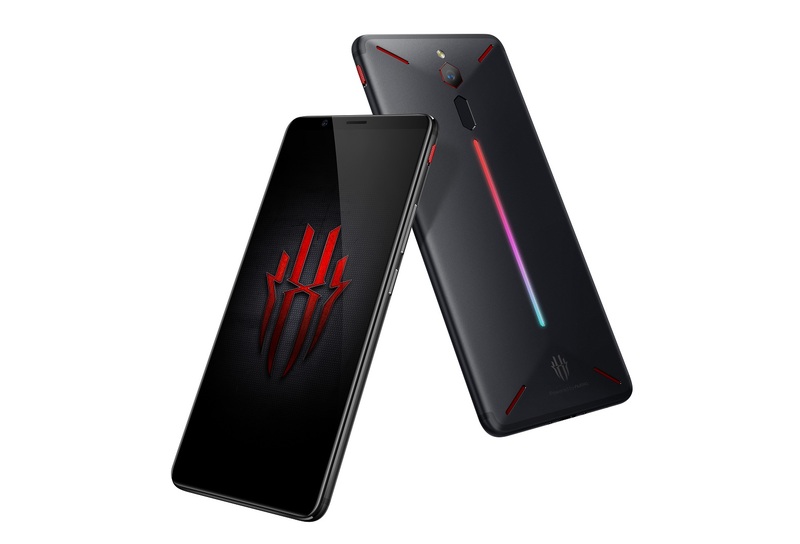 It appears that was the final design for the Red Magic Phone, and the strip – like RGB products on PCs – can output 16 million colours, and has 4 different lighting effects. It may seem superficial, but at the very least this phone looks nothing like the other devices in the market. Inside, the phone gets a little more serious. While it may “only” be powered by a Qualcomm Snapdragon 835 chipset, it’s paired with 8GB of LPDDR4X and dual-lane 128GB UFS 2.1 storage. There’s also GameBoost that lives as a dedicated button above the volume rocker. It enables Red Magic’s proprietary tuning software to free up memory-intensive resources to provide higher frame rates in game. On top of that, the Red Magic Phone has a brand new air convection cooling system – the first smartphone with this in place. It is designed to dissipate heat effectively across the diamond-cut body. There’s even an air vent disguised as one of the four red diagonal strips at the back. The cooling system comprises of three layers of graphite and three grille vents, moving heat away from the heat sink and regulating the internal temperature. Meanwhile, the chassis itself is coated with heat-absorbent materials. The Red Magic Phone sports a 5.99-inch 18:9 Full HD+ display with minimal bezels. The screen also has custom colour management and its colour calibration can be tweaked via software. As for the audio, the phone packs an integrated DAC as well as support for DTS Technology with a Smart Amplifier system built in. Other aspects of the phone are fairly standard for a flagship device. There’s a 3800mAh battery that’s rated for 7 hours of Arena of Valor (probably the first time we’re seeing a very specific battery benchmark like this), a 24MP f/1.7 rear camera with EIS, an 8MP front camera, Bluetooth 5.0, a fingerprint scanner, dual nano-SIM slots, and a dual-antenna 2×2 MIMO wireless functionality. 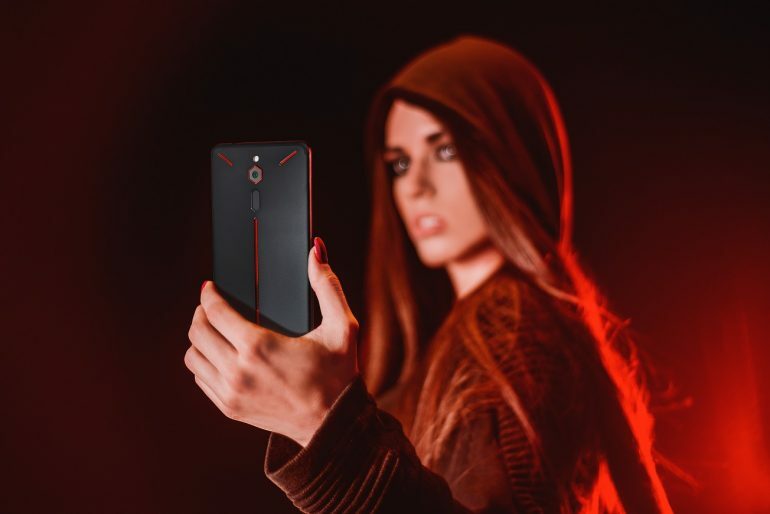 As a gaming smartphone, the Red Magic Phone’s anodised aluminium body weighs 185g. The USB Type-C port is only running on USB 2.0 speeds, but there is a 3.5mm audio jack. It also ships with Android 8.1 out of the box. 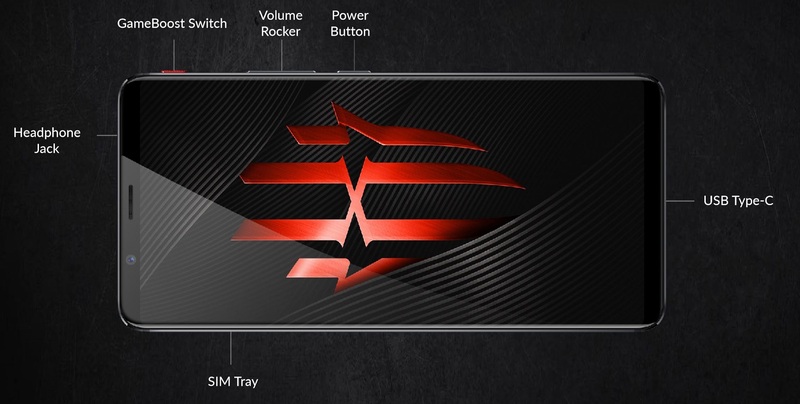 The Red Magic Phone will be available globally at an early bird price $399 (about RM1550). Red Magic is working with crowdfunding platform Indiegogo to be the exclusive distribution platform, and will start accepting orders from 26 April. 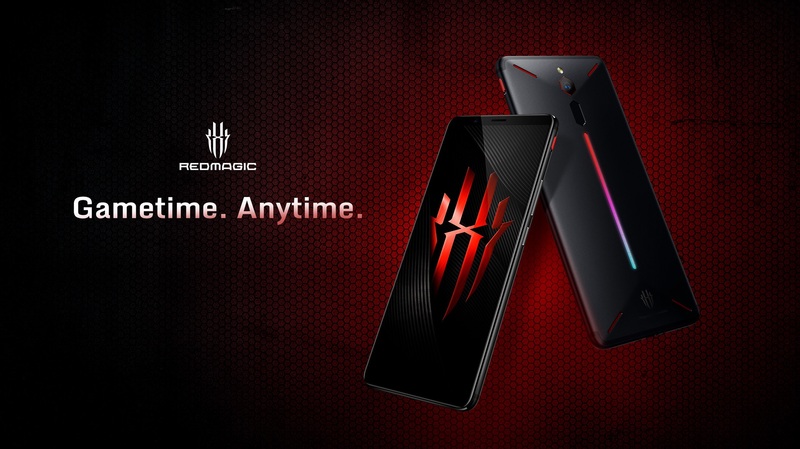 The phone will also be available for purchase via Red Magic’s official website, but at a later date.